3-Piece Duvet Set – Includes Duvet Cover and 2 Shams (Insert not Included). 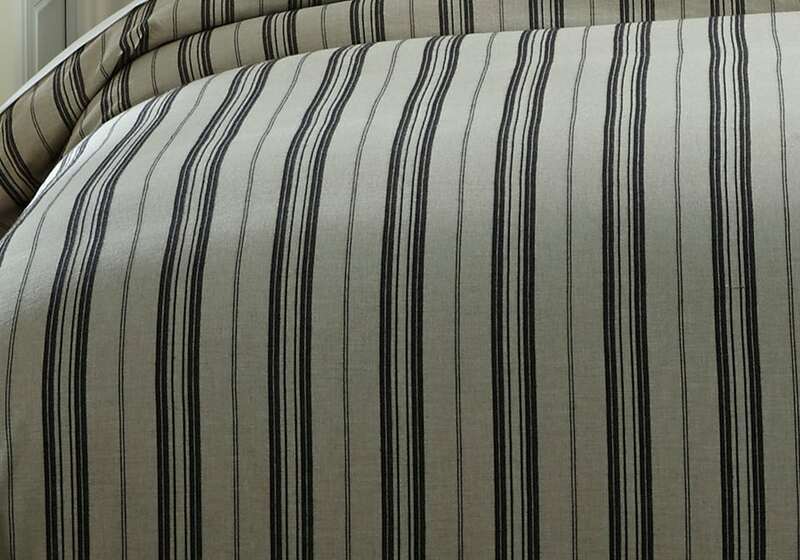 Black Striped Design on Natural. 200 TC. Yarn-Dyed Cotton. Machine Wash Cold.